In today’s marketplace, consumer demand for dairy-free foods like soy- or nut-based beverages seems ever growing. Contrary to this movement, the scientific evidence for dairy as a key component of a healthy diet has never been stronger. Studies continue to show that the quality of dairy milk protein is unrivalled and dairy remains a major source of essential nutrients lacking in many of our diets, such as calcium, potassium, and vitamin D. A recent review paper found that dairy’s rich nutrient content is associated with improved bone, cardiometabolic, cognitive, and digestive health (Hess, JM et al. 2016). Why, then, have we seen consumers shifting away from such a nutrient rich food? It is difficult to identify one specific reason – trendiness and perceived health benefits of dairy-free diets are certainly two key drivers, but the good news is that it’s not all doom and gloom on the horizon. According to a report by New Nutrition Business, the future for dairy is positive and it is listed as one of the 10 Key Trends in Food, Health, and Nutrition in 2016. 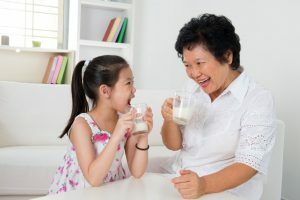 The changing dynamics in the marketplace, combined with continued positive scientific support for dairy, make it a great time to take a closer look into the essential role dairy plays in healthy diets throughout the life cycle. Dairy is often one of the first complimentary foods introduced into the diet in infancy following the period of exclusive breastfeeding, which is globally recommended for at least the first six months of life. While cow’s milk is not recommended as a beverage until after the child’s first birthday, cheese and yogurt can be included in the child’s first foods. For more information on getting children to eat those first foods, take a look at our blog on Turning Fussy Young Eaters into Foodies. 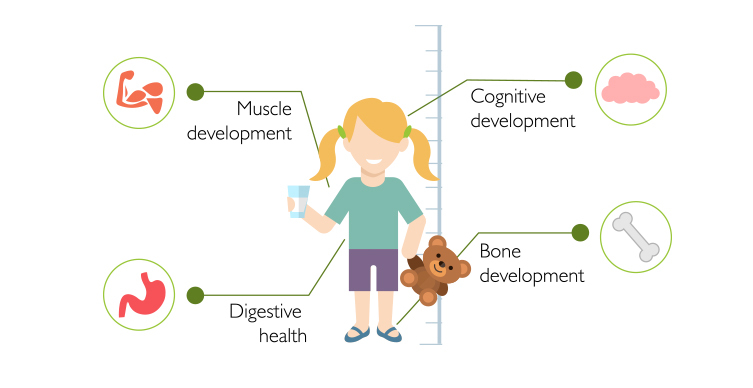 The Food and Agriculture Organization (FAO) of the United Nations notes that the protein, vitamins, minerals, and lactose in dairy products help support a child’s growth and development. Specific dietary guidance for dairy intake in early childhood varies from country to country. 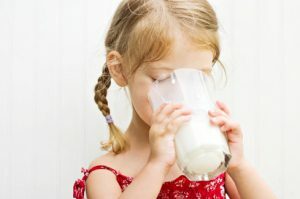 Dietary Guidelines for Americans, for example, recommend 2 – 2.5 cup-equivalents of dairy products per day for children between 2 and 8 years of age. These dairy products can include milk, fortified soy beverages, yogurt, and cheeses, but dairy items low in calcium, such as dairy-based desserts are discouraged. Most other countries recommend two or more servings for all ages over 2 years. 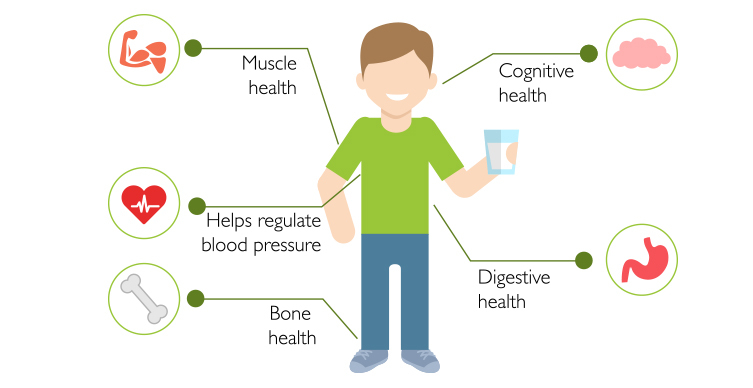 In the event that diet alone does not meet the needs of children, the World Health Organization (WHO) advises that calcium-fortified foods and nutrient supplementation may help provide adequate amounts of micronutrients. During adolescence, dairy can provide many nutrients that are critical to support the rapid growth an development of this life stage. For instance, up to 90% of peak bone density is achieved by the time we reach 18-20 years of age. Sufficient intake of calcium during this time is critical to support this rapid bone growth and may help protect against loss of bone mass and osteoporosis in adulthood. Dairy products are an important food source because their calcium is more efficiently absorbed than calcium from plant-based foods. Other important dairy nutrients that support growth and development include protein, phosphorus, potassium, magnesium, zinc, and vitamin D.
Check out our RDA Dietary Tool to learn more about specific nutrient needs across the life cycle. The calcium and protein combination found in dairy appears to be beneficial all the way into our later years. These nutrients work together to protect aging bones and reduce the risk of fracture. Dairy effects on bone are particularly strong when adult populations with low daily calcium intake increase dairy consumption. Sarcopenia, the loss of muscle mass and strength associated with aging, often occurs hand in hand with osteoporosis, where bones become brittle and fragile. It’s thought that many older adults consume too little protein, and that a higher protein intake could reduce the risk of sarcopenia. Stronger muscles also help protect joints. The protein in dairy products supplies all essential amino acids in a bioavailable and digestible matrix, making it one of the highest quality proteins available. Metabolic syndrome, the name for a group of conditions, including abdominal obesity, hypertension, and hyperglycemia, is a growing global health threat affecting all life stages. Several research groups have associated dairy foods, including higher fat items such as whole milk and cheese, with lower risk of abdominal obesity. Dairy products appear to help lower blood pressure and are a key element of the Dietary Approaches to Stop Hypertension (DASH) diet for preventing and treating hypertension. This is likely due to the combination of minerals and protein found in dairy. Dairy fats may also support healthy blood cholesterol levels. Further research is needed to assess the relationship between dairy products and management of blood glucose. • Aim for at least two daily servings of milk, yogurt, cheese, and foods prepared with them. When using dairy substitutes, choose those that are fortified to match the protein, calcium, and other nutrients in cow’s milk. • Opt for dairy products that are low in both added sugars and sugar substitutes. Limit dairy desserts. • Until the relationship between dairy fat and health is better understood, select mostly lower-fat dairy products. • When consuming full-fat dairy products, avoid those that do not provide adequate calcium, and balance calories by cutting back on saturated fats, solid fats, and/or added sugars elsewhere in your diet. The science supporting the contribution of dairy’s rich nutrient profile to positive health outcomes, combined with dairy’s presence on the list of the top 10 Key Trends in Food, Health, and Nutrition for 2016, provides a perfect platform for growth in the dairy market in coming years. Re-imagining traditional dairy products to fit other market trends, such as snacking, is one way the industry may be able to effectively deliver the nutrition of dairy to consumers. See our blog on snacking to find insights into how dairy may fit this growing consumer trend. With the inclusion of recommendations for added sugar intake in the Dietary Guidelines for Americans, sugar reduction may also be a critical step in coming years for dairy products in North American markets. Ultimately, there is room for creativity and innovation in the dairy market horizon and it is essential for us to consider the most effective way to deliver the nutritional benefits of dairy to consumers. Stay in touch with the Kerry Health and Nutrition Institute and receive new content updates and our quarterly newsletter – email kerryhealthandnutritioninstitute@kerry.com to subscribe. Mindy Hermann, MBA, RDN specializes in food and nutrition communications for the industry, health professionals, and consumers. Mindy Hermann is a popular speaker adn author on healthy eating at all ages. She served as a spokesperson for the Academy of Nutrition and Dietetics. Nathan Pratt, PhD, RD completed his doctoral studies at the University of Illinois at Urbana-Champaign, where his research focused on weight management, nutrition labeling, and consumer behavior, He joined Kerry’s nutrition team in 2016 as a Nutrition Analyst and is responsible for supporting internal and external scientific communications.